Got a thing against puppy mills? (And well, of course you do.) Then you’ll love the bill Senators Richard Durbin (D-Ill.) and David Vitter (R-La.) recently reintroduced to the U.S. Senate floor. S. 707 — known as the PUPS Act, for “Puppy Uniform Protection and Safety Act” — will close a loophole in the Animal Welfare Act that currently allows large-scale, commercial breeders who sell puppies online or directly to the public to escape licensing and regulation. This means Internet sellers and other direct sales facilities can sell thousands of puppies — which are sometimes sick and/or dying — to unsuspecting consumers. 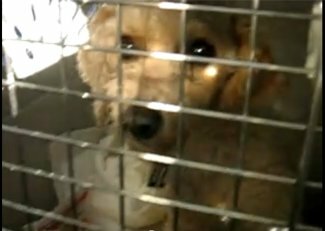 All the while, breeding dogs at these facilities may spend their entire lives in constant confinement and suffering.